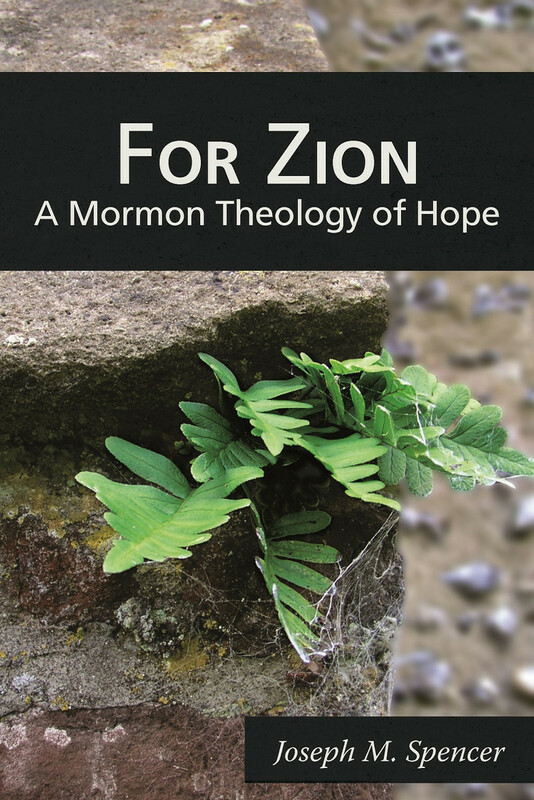 I’m honored to participate in this roundtable on Joe Spencer’s book For Zion: A Mormon Theology of Hope. I’ll be tackling chapters 2 and 3 today; Adam treated chapter 1 here. Like many T&S readers, I presume, I come at this book as an amateur: I was trained in literature, not philosophy, and the densely analytical style of philosophy can be challenging — though always rewarding — for me to work through. These chapters are full of interesting ideas and new readings. Rather than react or respond to Joe’s theology here, I’m just going to do my best to summarize the argument as completely as I can. At my level, that’s always a necessary first step. So here goes. In chapter 2 of his book, Spencer takes on the fourth chapter of Paul’s Epistle to the Romans, which focuses largely on the relationship between faith and hope. Paul takes as his starting point Abraham’s faith, as expressed in Genesis 15:6: “Abram believed the Lord, and he credited it to him as righteousness.” (I’m going to link to the NIV throughout the post for the reader’s convenience, but Spencer provides his own translations throughout, which sometimes differ in important ways from standard translations.) Paul glosses this verse in Romans 4: 18-22. The crucial points, in Paul’s reading, are that 1) Abraham’s faith preceded his righteousness (verse 22), and 2) his particular kind of faith is defined by its relationship to hope (verse 18). Spencer zooms in on the opening phrase in verse 18 that is often translated as “against all hope,” but which he renders as “hopeless but hoping.” This phrase will be the foundation of chapter 2. HOPE transforms FAITH, because hope’s trust augments faith’s fidelity. FAITH transforms HOPE, because faith requires that hope be oriented toward God, not self. In contrast, despair is “objectively hopeless”: that is, despair recognizes that there is no way of deliverance, under the present order of things. But despair is “subjectively hopeful”: it recognizes that the objective order of things is passing away, and that God has given you a role in that process of change. Thus we can say, with Paul, that despair is “(objectively) hopeless but (subjectively) hoping.” True hope can only originate in despair, never in desperation. 3) the relationship of hope and love (verse 5). These three stages will structure the remainder of the chapter. Stage 1: In exploring the relationship between faith and hope, Romans 5 builds on Romans 4: faith not only orients hope away from the self and toward God’s honor, but actually offers the possibility of sharing in God’s honor. Faith offers hope the chance to participate in the “passing away of the present order.” Thus the “subjective hopefulness” of despair-become-hope: I can be an agent of change. Into this chronology, Spencer inserts the Christian “boasting” of which Paul speaks in verse 2. Ordinary “boasting” — that is, hope that has not been transformed by faith, hope oriented toward the self — is rooted in and ratified by the present order of things: it is, we might say, the positive, though equally mistaken, mirror of desperation. But Christian boasting, faithfully hopeful boasting oriented toward God’s promises and our role in them, is located at the border of the present and the future. Virtuous boasting is an Exodus state of mind. This process presents a potential danger, however: that the disciple’s newly-won strength of character will foster a false autonomy, alienating her from God and her fellows. Here Spencer’s impulse to subdivide further schematizes hope: if hope without faith leads to dead-end desperation, then hope without love leads to false independence. Conversely, hope + faith leads through a passage of fruitful despair to a new beginning, and hope + love carries the disciple through the Zion-change in true fellowship. Spencer summarizes, “Hope, transformed by faith, pursued relentlessly, and then supplemented by love, is what characterizes the life of the Christian” (34). And with that, the stage is set for Romans 8: the time of hope. Sheesh! For an “amature” this is incredible. Very thought provoking. Thanks for sharing. It’s been a few months since I read these chapters, but this strikes me as a fantastically clear summary of some very complex ideas — kudos! “And being fully persuaded that, what he had promised, he was able also to perform. Paul’s central argument, starting all the way back in Chapter 1, is that it is faith, not the law, that saves us, and Abraham is his central example, that before Abraham was circumcised, “Abraham believed God, and it was counted unto him for righteousness.” Abraham’s faith was believing that God could give him children, despite his and Sarah’s advanced age—believing in a future event. Paul isn’t drawing a distinction between faith and hope, he is drawing one between faith and works. Works, not faith, is what relies on events in the past. Faith and hope both, according to Paul, are future-looking to God. Sorry to so completely disagree with Mr. Spencer. I take faith to be oriented to the past in that it’s oriented to an announcement regarding the future. But that means that faith is trust regarding the future through trust in the past—in a past announcement (an angelic word, a prophetic statement, a visit from God, what have you). Paul, I think, makes this quite clear. It’s not that Abraham just believes for no reason that things will work out. It’s that he trusts the word of God given to him in the past: your seed will be like the stars. Faith is oriented to a past event that announces a different future. So faith is certainly bound up with the future, but it’s not a matter of trusting in that future itself. It’s a matter, rather, of trusting the divine word concerning the future that was given in the past. The attitude one develops toward the future event announced is one of hope. Thanks for the clarification, Joe. Also, this series is helping me understand the book better my second time through. Thanks to all involved.